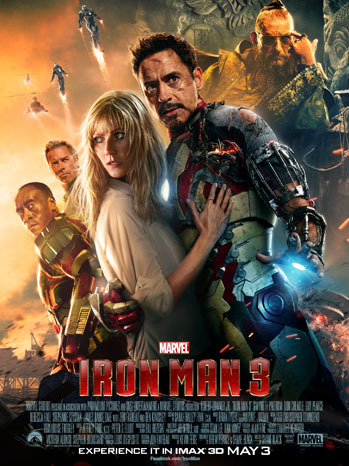 Iron Man 3 will be shown starting April 26 in 4DX at a theater in Nagoya, central Japan, operated by the Korona World chain, which plans to screen 12 titles a year using the new 4DX format. Effects utilized by the system include tilting seats, blowing wind, odor effects and equipment in the ceiling that can drop bubbles down upon the audience, who will pay a $13 (1,300 yen) premium for 3D versions and $10 for 2D films, on top of the regular ticket price. The 4DX system already is in use in theaters in Thailand, Russia, China, South Korea, Mexico, Israel and several countries in South America. The first film to be shown in the format was Avatar in 2009 in Seoul, where the company behind the system, CJ Group, is headquartered. CJ Group is reported to be moving ahead with plans to bring 4DX to the US this year, with a view to equipping 200 theaters over the next five years. Next Article Will.I.Am Uses Illegal Samples in New Song.